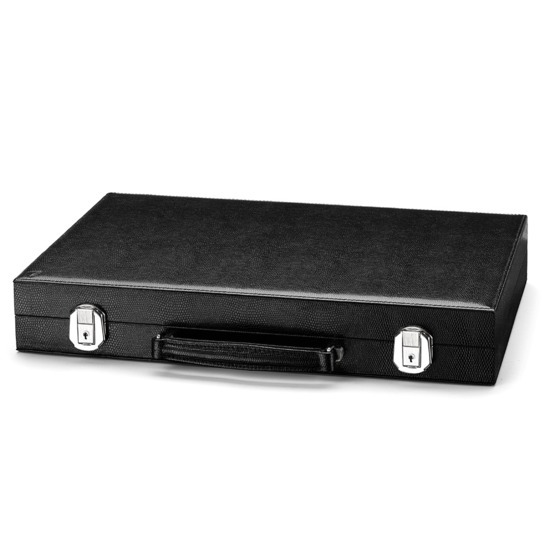 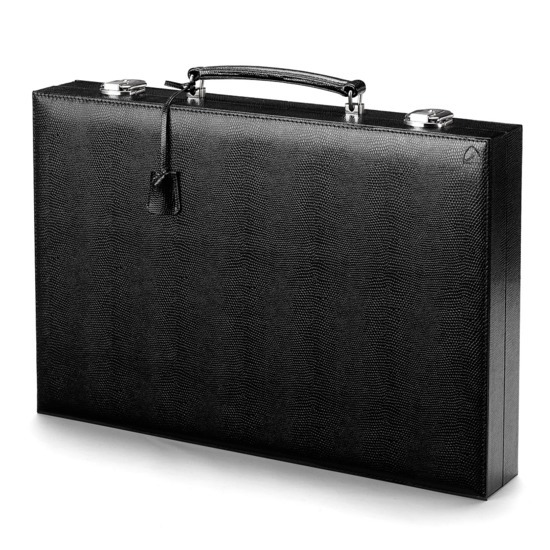 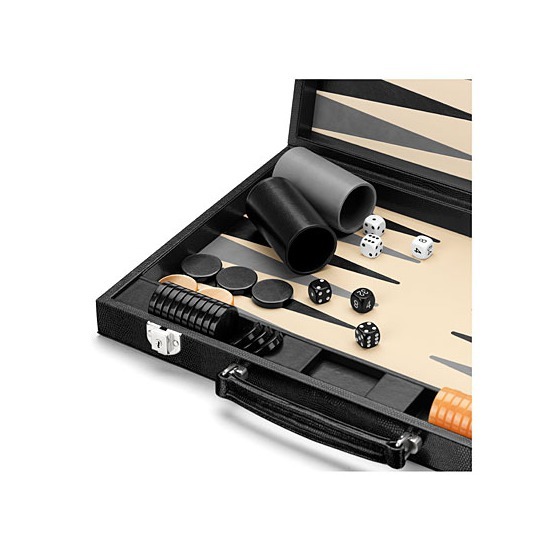 This exquisite leather Backgammon Set has been handmade by our master craftsmen using the finest Black lizard print Italian calf leather over a handmade wooden box frame. 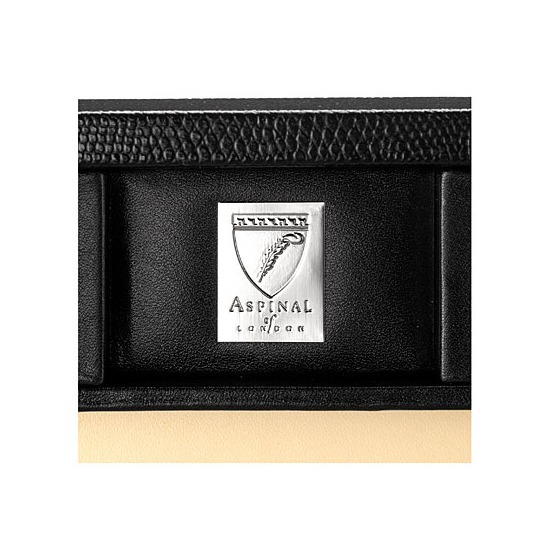 More than 50 separate pieces of leather are inlaid by hand to produce a perfect fast playing surface as well as a genuine outstanding work of art that will be a family heirloom for years to come. 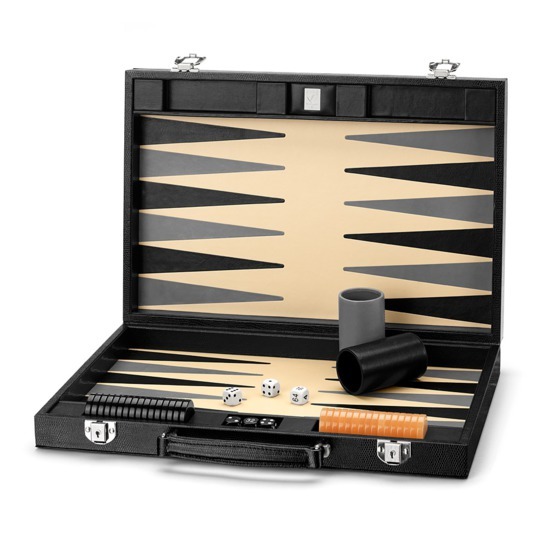 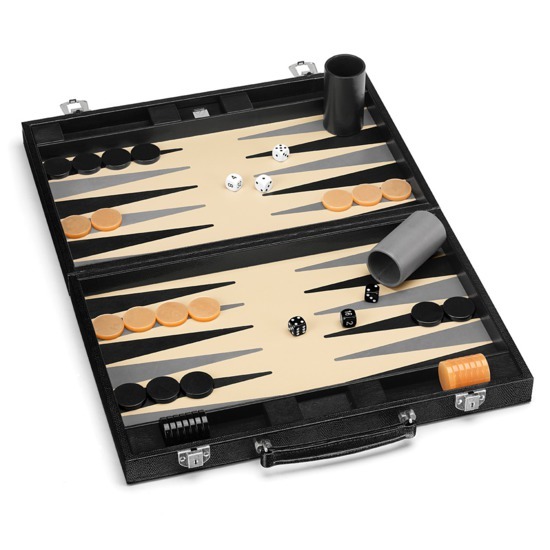 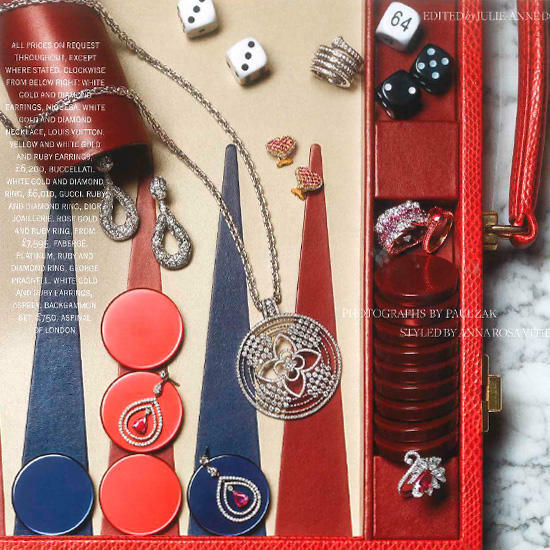 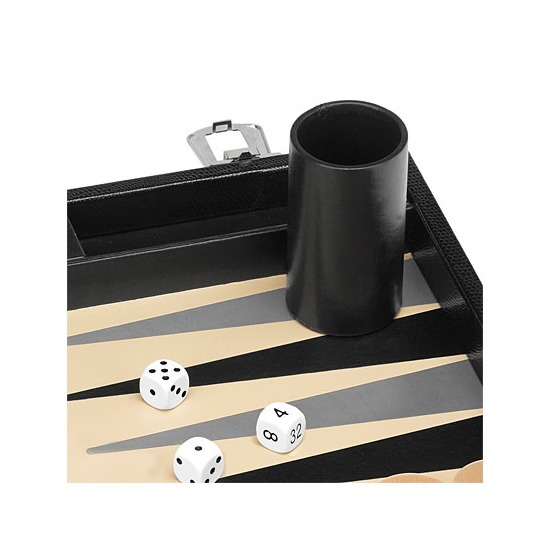 Each 17" Backgammon Set comes with 30 polyester checkers, 4 standard throwing dice, 2 leather dice cups and a doubling cube.